Harvest of Talents (HOT) is an annual event which consists of a sale, live auction, talent demonstrations, food, and entertainment. Everything sold at HOT is provided by the talents of local individuals. Every dollar spent at the event buys food for hungry people worldwide. You can help by donating your talents such as lawn care, car maintenance, baking, crafts, or sewing. We also need plenty of shoppers prepared to give generously to feed hungry people--so bring yourself, your wallet, and your friends to Rose Center on November 3rd! If you're interested in donating towards the Morristown HOT, click here for more information. The November event in Morristown includes a sale in the morning, a live auction in the afternoon, live music, and plenty of food, fun, & activities in between. Not a bit of the money raised goes to overhead or administrative costs. Every dollar--every cent!--buys food for hungry people and is distributed through IDES, International Disaster Emergency Service. Click here to learn more about IDES. Wow! In 2017, the Morristown HOT event raised $9,087.50 to #feedhungrypeople! 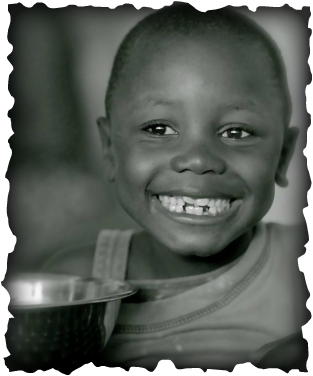 Thank you to all who served, created, donated, prayed, and purchased in order to provide pounds upon pounds of staple foods like beans, rice, and maize to hungry people worldwide! What if your woodworking hobby did more than just add a bookshelf to your living room? What if mowing a neighbor's lawn did more than pad your wallet? What if your existing gifts, skills, knowledge, and passion could provide food for hungry people all over the world? HOT fights world hunger not with mere money but with the myriad gifts God has bestowed on humanity. Instead of simply donating money to buy food for hungry people, you donate to HOT your creativity, your expertise, your work, your time. Through HOT, you can be part of a community of people working together, contributing individual talents in a united effort to alleviate world hunger. Click here to hear a radio commercial for Harvest of Talents set to a slideshow of pictures of past submissions for our sales and auctions. HOT relies solely on contributions of your time, talents, and money. You can donate original art and crafts, vouchers for services or lessons you will provide, baked goods, and more of your talents to sell. Click here for project and donation ideas. You can also help by attending and buying items for sale. Click here for more about getting involved with HOT.